NATIONAL TIMBER INDUSTRIES is one of the chief Timber Wood, Mango Wood Log, Jungle Wood, Boiling Waterproof Plywood, Flush Doors and Wooden Block Board Manufacturers, Suppliers and Exporters from India. 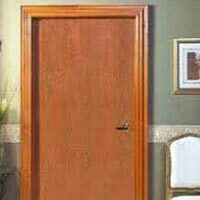 The wide array of Timber Wood offered by us includes Babul Wood and Neem Wood. Apart from this, we also offer wooden size, fire wood and wooden dust. The company is manned by team of dedicated professionals who closely work to understand the clients requirements and strive hard to provide them 100% satisfaction. Pioneering approach and deep rooted professionalism has lent us name in the domestic as well as global markets. Based on the same, we have earned a huge list of satisfied clients from across the globe. Relentless efforts of the company are directed to promote long term business alliance with all the clients and go an extra mile to exceed their expectations. For sustaining the firm trust and faith of the patrons, we dispatch the products within the predetermined time-frame at competitive prices.